Usually delivered within 2-7 working days. If you fancy a change from your old stainless steel kitchen sink then take a look at the fantastic selection of Schock sinks at HC Supplies. The granite sink was invented by Schock who have been one of the leading manufacturers worldwide for over 30 years. Their invention features sinks and taps which cater for all styles and taste be it modern, classic or rustic. All Schock sinks are manufactured in Germany to extremely rigorous standards thereby making them virtually indestructible. Roughly 80% of the material used in Schock sinks is quartz, the hardest ingredient of granite. Added to high grade acrylic this produces a hardened composite material that this resistant to cracks and dirt and is also accountable for the long life of the sinks. The natural antibacterial system developed by Schock reduces 95% of bacterial growth which in turn makes for a more hygienic and satisfying experience in your kitchen. Schock sinks have been developed in two materials – Cristalite and Cristadur to deal with the requirements of the modern kitchen. They are extremely durable and easy to clean with no unsightly marks left behind. Check out the timeless design of the Cristalite Lithos 150 Black Onyx sink which features a draining board with practical grooves to prevent slipping and breakage of plates and glasses and all for a great price. Likewise the Schock Domus has a recessed drainer to contain spillage. For ‘the minimalist look’ the Cristalite Epure sink could be the one for you. With the ribless drainer this ensures a totally contemporary look. With a vast choice of colours from Black Onyx, Croma and Lava through to the bright colours of pink, sunflower, ocean blue and peppermint etc (which are colour fast for life) there is definitely a Schock sink to suit your style and décor in the kitchen. With the Premium Cristadur material this has an ultra fine structure and a silky smooth surface for easy care. Dirt finds it impossible to stick to this material and comes with the added benefit of offering maximum resistance to stains and scratches. If space is of a premium we have the perfect sinks for small spaces to counteract this problem. 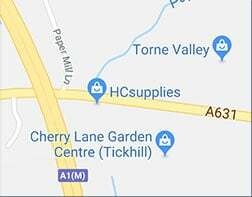 Give one of our team at HC Supplies a call on 01302 741709 who will be readily available to assist you with any information or advice you require on Schock sinks or any other kitchen product. We offer a large selection of Schock sinks for you to choose from that also come with an affordable price tag. Schock have been the international market leaders for granite sinks and offer very high quality products and have become very popular over the years. In our Schock granite sink range we have 0.5, 1.0 and 1.5 bowls with undermounts and inset mounts in a variety of finishes. The Schock Cristadur finish is Schock's silky-smooth premium material which has an extremely fine nanostrcture for easy care. Another advantage of this premium finish is that it is almost impossible for bacteria/dirt to stick to the materials surface. The Schock Cristalite+ finish is the other finish available in the sink range. The 30 years of experience the company has gained has gone into producing a superior quality finish which is now even easier to clean, tougher and is also food-safe and UV-stable. We hope you find a Schock Sink to suit your needs, but if you can't find what you're looking for then give us a call and we may be able to find it for you. Choose either a Half Bowl, Single Bowl or One and a Half Bowl Schock sink. Online Schock Sinks & Taps Catalogue Coming Soon!